Thanks to a plug from Paul Andrew Hutton, here's someone we need to do a True West feature story on. 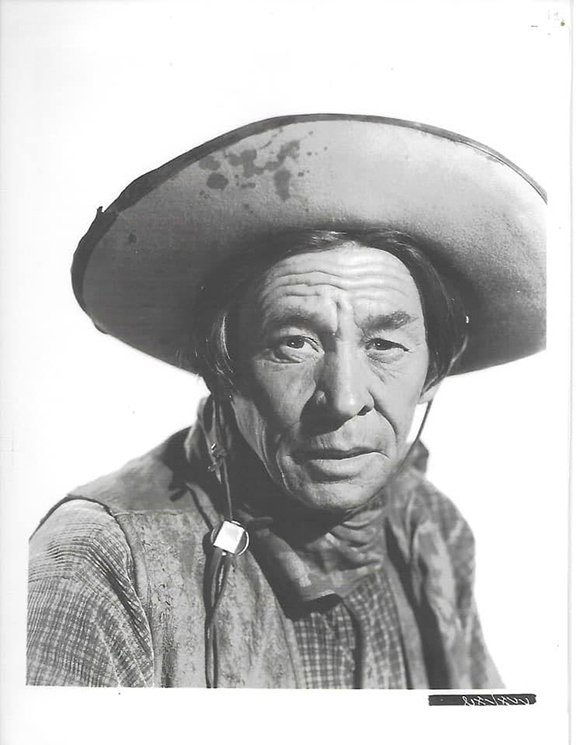 "This is Charles Stevens one of the most prolific character actors in all Hollywood history (Plainsman, Frontier Marshal, Blood and Sand, Kit Carson, every B-western serial you can think of). He was pals with Douglas Fairbanks Sr and appears in many of his silent films. Related directly to the Stevens family that lived as Indian traders at San Carlos and friends with Geronimo and The Apache Kid. Old Man Stevens married one of G-mans cousins and that is the connection. Charlie was discussed in my article on Geronimo for True West and is also buried in a footnote in my book. He actually played Geronimo in an episode of Rin Tin Tin. "He was a remarkable Arizona fellow who deserves far more notoriety. He was in at least four Wyatt Earp films as Indian Charlie (Wild West Days, Frontier Marshal, Tombstone, My Darling Clementine). The Stevens family was really important around San Carlos and old man Stevens was there from the beginning as a trader. Carol Markstrom sent me great info on the family for my book and could probably write up something for you on Stevens and his family. She would also be a great What History Has Taught Me person for True West magazine." "We came from dust and we will return to dust and that is why I never dust. It might be someone I loved."